After many years of extending its range of high-end production yachts well into superyacht territory, this iconic boat builder has turned its attention to the smaller models in its range. 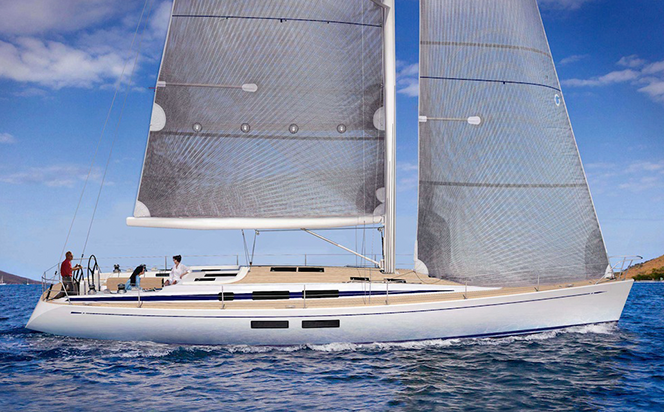 The new German Frers designed 54 will be the yard’s smallest model, offering the benefits for which the Swan brand is famous in a more compact, affordable and easier to maintain package than the larger yachts in the range. 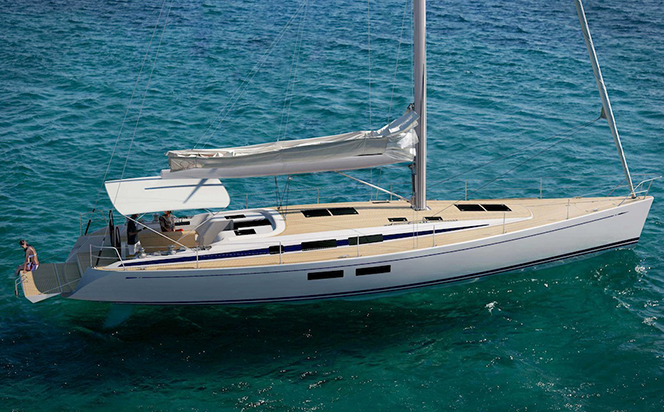 The new boat has a moderate displacement hull with a high performance 2.44m draught lead keel fitted as standard. It is also available in a variable draught (minimum 1.4 metres) format, with an efficient vertically lifting keel and twin rudders. Hull construction is of a single skin moulding using glass fibre reinforced vinylester laminate, with multiaxial or unidirectional fibres in high load areas. The deck is in sandwich with a closed cell foam core to reduce weight, improve stiffness and provide additional insulation. 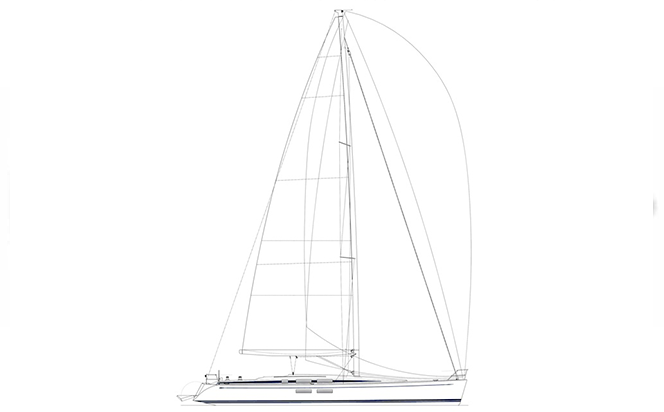 Above decks the sail plan is designed for a blend of performance and easy handling. 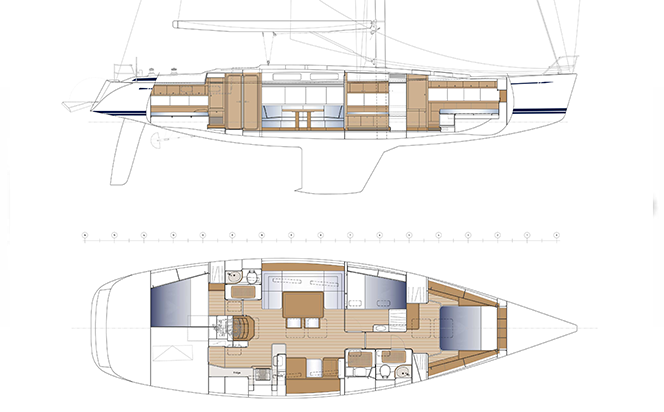 Similarly, the deck layout is optimised to enable the boat to be managed with a small crew, while also providing spacious and comfortable living spaces for non-sailing guests. Four electric winches are positioned close to the helmsman, so that the power in the boat’s rig can be easily tamed. There is plenty of on deck storage space in three separate areas and the transom opens into a wide swim platform allowing direct access to the water. Below decks the interior was conceived to ensure maximum comfort for long periods, both under sail and while in port or at anchor. Numerous ports and hatches provide ventilation and natural light, while four large hull windows can be added as an option and oak is used for joinery. The standard layout incorporates three double cabins, including an owner’s cabin forward and two guest cabins, one located centrally and the other aft. There is also a fourth cabin dedicated to systems and storage, including the generator and washing machine. Alternatively, this area can be arranged as a crew cabin. The saloon features a three-metre long c-shaped settee, with a comprehensive navigation station opposite and an extremely well appointed galley.